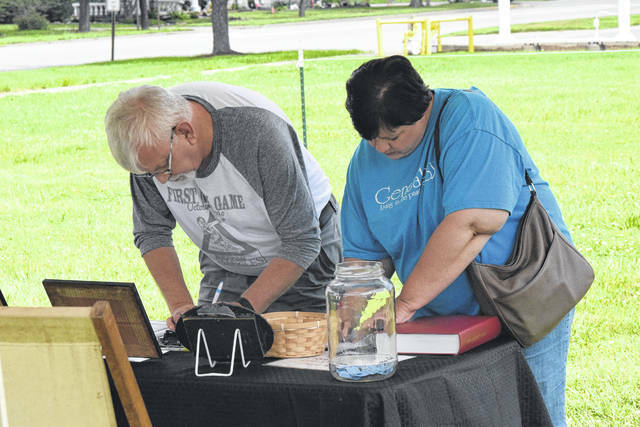 The Preble County District Library held its first ever Genealogy and History Fair on Saturday, June 23. 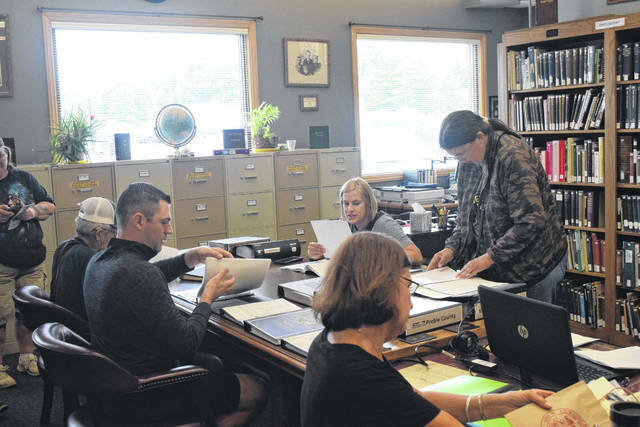 The event brought together libraries, genealogy societies, bicentennial committees, historical societies, Daughters of the American Revolution (DAR) Preble Chapter of Eaton, the Mayflower Society, and some archives to network with both one another and the public. During the event, Preble County DAR Regent Debra Crumbaker presented Curtis Hodson with the Historic Preservation Recognition Award. 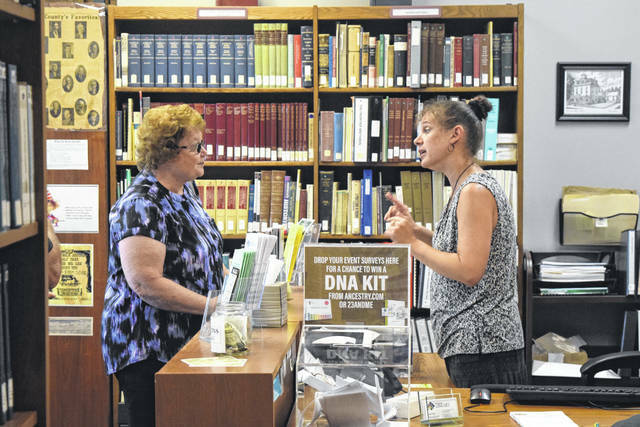 EATON — The Preble County District Library held its first ever Genealogy and History Fair on Saturday, June 23. 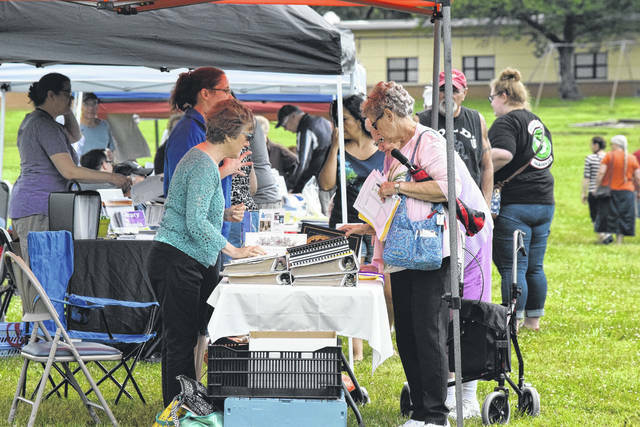 The event brought together libraries, genealogy societies, bicentennial committees, historical societies, Daughters of the American Revolution (DAR) Preble Chapter of Eaton, the Mayflower Society, and some archives to network with both one another, and the public. This also gave the DAR an opportunity to present Curtis Hodson with the Historic Preservation Recognition Award. “One [award the DAR presents] is a Historic Preservation Recognition Award — it recognizes and honors individuals or groups that have done remarkable volunteer work at the community level. We recognize those who work in the areas of historic preservation,” DAR Regent Debra Crumbaker said. Hodson was presented with an award and a pin, recognizing his achievements. As for the Genealogy and History Fair itself, it came from an idea to help local genealogists and researchers find information and to bring resources to them in one location. “This is a chance for everyone to get together in one spot to find out what research opportunities are out there. We had started going and visiting all these organizations and we realized they needed to visit each other too. Why not put it all together? 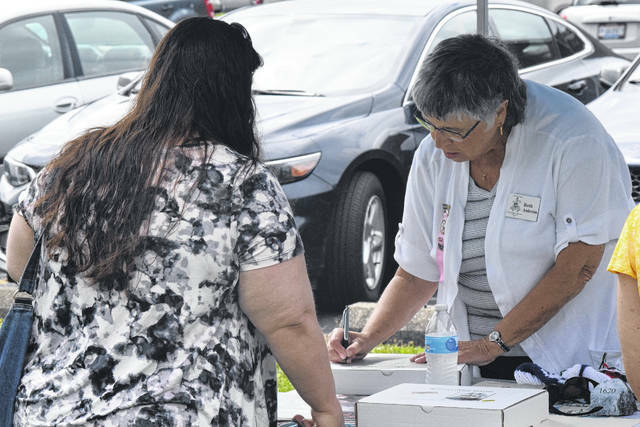 We also had a lot of people who didn’t know we are here, so it is a combination of an open house and networking,” Preble County Room Supervisor Angie Getter explained. 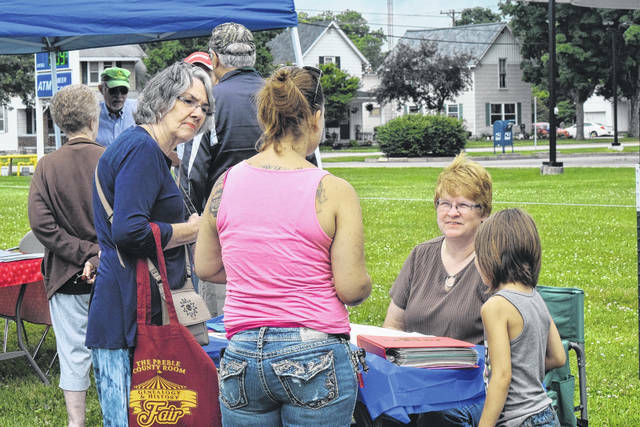 https://www.registerherald.com/wp-content/uploads/sites/41/2018/06/web1_Fair5-1.jpgThe Preble County District Library held its first ever Genealogy and History Fair on Saturday, June 23. 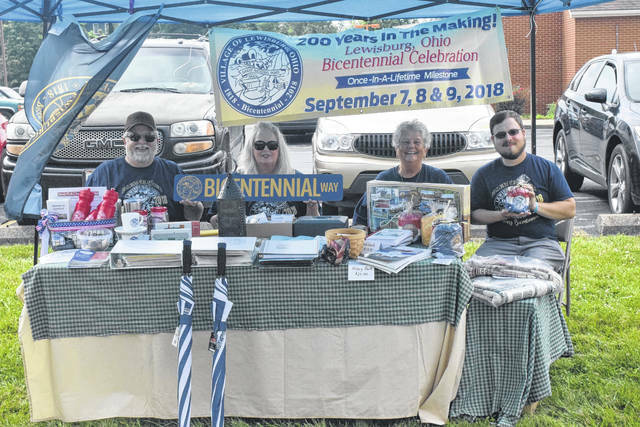 The event brought together libraries, genealogy societies, bicentennial committees, historical societies, Daughters of the American Revolution (DAR) Preble Chapter of Eaton, the Mayflower Society, and some archives to network with both one another and the public. 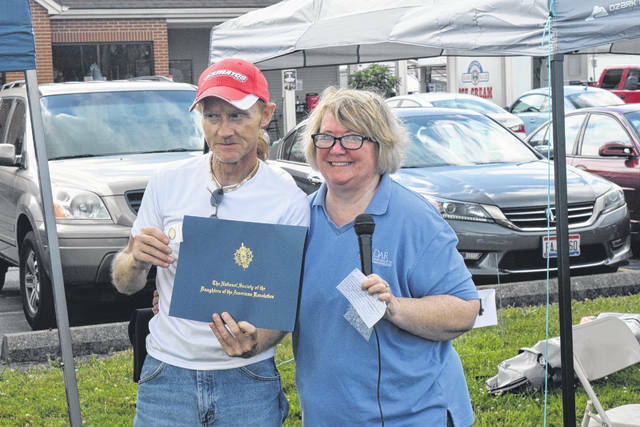 https://www.registerherald.com/wp-content/uploads/sites/41/2018/06/web1_Fair12-1.jpgDuring the event, Preble County DAR Regent Debra Crumbaker presented Curtis Hodson with the Historic Preservation Recognition Award.